Being Human is already a very popular and successful brand in the Indian retail market. 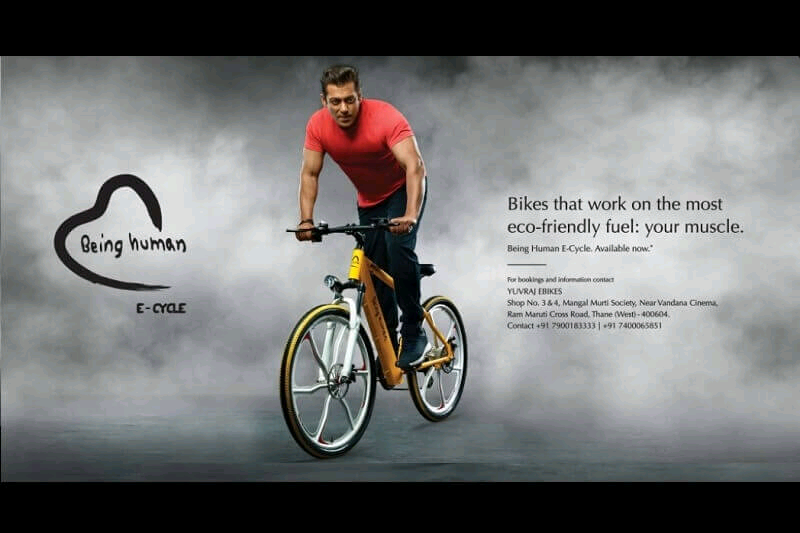 Enchashing on the success of his clothing and fashion line-up, Salman Khan has further introduced his own range of E-Cycles under the same brand. The product was announced on the ocassion of World Environment day. Salman Khan himself made it to the Press Conference from his Bandra home on his Being Human E-Cycle. That is an effective marketing strategy to get your product to speak for itself. The E-Cycle will be available in two variants of BH27 and BH12. The models will be available in 4 colours namely - White, Yellow, Red and Black. Also more variants will be available for sale in the line-up. The product will first open for bookings in Mumbai and then will be available across dealerships throughout the country.